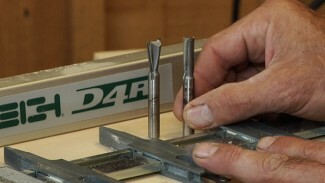 The depth of cut on a Porter Cable 4212 can make or break a dovetail. 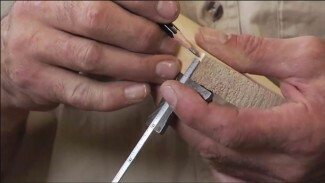 George Vondriska teaches you the woodworking tips and techniques you’ll need in order to properly set the depth of cut so you can create dovetails that fit perfectly. It is possible to mount a router bit incorrectly in your router collet, and that can spell disaster for your woodworking project. 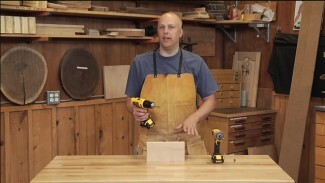 George Vondriska shows you how to properly insert and clamp router bits into your router. Make nearly invisible covers for screw heads with plugs cut from the same wood as your woodworking project. 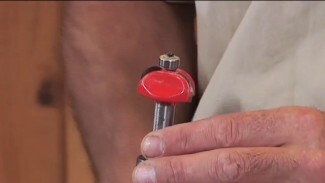 George Vondriska guides you through the procedure for cutting plugs using a drill press, plug cutter bit, bandsaw and George’s secret weapon: masking tape.